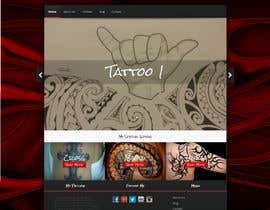 Design a Website Mockup for "mytribaldesigns.com"
My name is Elliot and I am a young tattoo designer and passionate Tahitian artist who creates and sells Polynesian art and tattoos. I have been drawing designs for 5 years now. All my work is hand-drawn and 100% original then digitally enhanced and touched up before being sold. For now I just do tattoo requests where clients fill in a document of significant events, goals, inspirations and people in their life they want portrayed in their tattoo, then I begin my drawing. Requests take up to 3-4 weeks (depending on the size and detail) to complete. I also do designs on canvas and sell those too. I do eventually want to do a clothing, footwear and car sticker range (once again all custom individual designs). I Just bought the name "[login to view URL]" and I am looking for a website design which can clearly portray my services and also have a appealing professional layout structure. 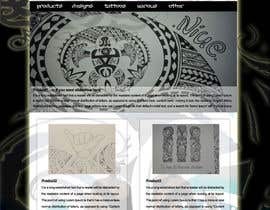 The name itself being my-tribal-designs is completely reflective of my efforts to keep each and every design original from other artists and from other clients. I have been getting numerous requests and feedback thus far without any advertising besides word of mouth and the occasional picture upload on my own personal Facebook page. 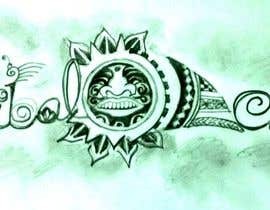 I want this webpage to attract and further promote my unique style and the notion that all requests are individualized to that person’s personality, life events etc. I also for the life of me can’t come up with a logo/banner incorporating “myTribalDesigns” if you can design this also, that’d be greatly appreciated! 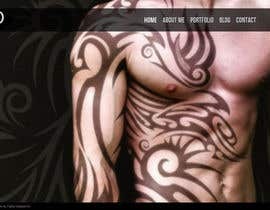 Attached is a sample of some of my work to give you an indication of the styles that I use.